During the first week of August I attended my local temple of The Church of Jesus Christ of Latter-day Saints (often inadvertently called the “Mormon” church), and got a beautiful surprise – there was a new film shown in the temple. Apparently, I happened to attend the first morning the film was shown. The film was so beautiful. It portrayed the exact same teachings and instruction as had the previous two films, which are part of what is called the temple “endowment”. The film had been updated and it’s teachings struck at my heart – just as the things I learn in the temple always have. I was surprised to feel slow silent tears slide down my cheeks at one point. I felt a burning feeling of love in my heart – yet another confirmation from God in my life that what I was learning was true and that I belonged to God’s true Church. 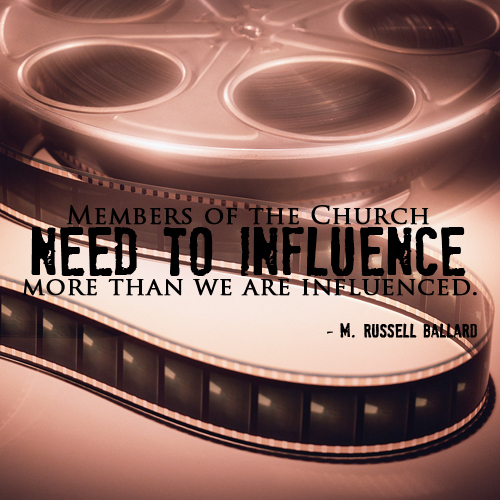 Many are surprised to learn that a film is used as part of the temple instruction. I was surprised to learn that myself as a teenager when my parents told me. Though I had attended the temple many times to perform proxy baptisms, youth temple participation is limited to only this ordinance. Therefore, I did not know about other temple practices in detail. The new temple film is the first update in more than 20 years,” said church spokeswoman Ruth Todd. “There have been no changes to the script. English-language copies of the new film are being sent to temples over the next few weeks and will subsequently be translated into other languages. Since the 1970s, a portion of LDS temple instruction has been provided through pre-recorded media, including film. Beginning (the first week of August), a new temple film is being shown in several LDS temples. Temples serve as the only place where ceremonies such as baptism and eternal marriage can be performed in behalf of those who have died — a practice that Latter-day Saints believe was followed in New Testament times but that later was lost. What is The Temple Endowment? What is Taught in Temple Instruction? In the temple, faithful members enter to participate in ceremonies such as marriage and baptism, but they also enter to receive instruction. Some of this instruction is called The Endowment as in an “inheritance of knowledge”. But the instruction in the temple is very simple. I looked forward to going to the temple my entire life and receiving this instruction. I was very reverent and very interested in what the specific instruction would be. I understood that it would be a different type of teaching of the same basic gospel principles. Even with this basic understanding, I was still surprised at how simple, sweet and beautiful the temple instruction and teachings were. And yet, they are so sacred and profound. Much of the instruction taught in the film focuses on The Creation and God’s Plan of Salvation for His Children. You can find information on God’s Plan of Salvation here. I think many looking on the outside may think that what goes on in the temple is quite sensational, bizarre or secretive because members who attend do not discuss it – but this is not true. It is so precious and sacred to us, that we do not discuss it outside God’s House – The Temple. I guess I can understand why someone might think this seems secretive– but on the other hand, I just think about personal experiences within my marriage. Neither my husband nor I would EVER discuss certain things that transpire or are discussed between us outside of the marriage. This isn’t because something bizarre, nefarious or secret is going on – it’s because it is sacred and confidential to us and we respect that. Elder Russell M. Nelson gave an amazing explanation of the temple recommend. He compared it to applying to a university. You see, in The Church of Jesus Christ it is The Church’s greatest desire that EVERYONE come to the temple and receive the blessings therein. EVERYONE. It is not meant to be exclusive. I’m not sure that everyone understands that. But to attend, one must be prepared to receive the higher level of knowledge. You wouldn’t send someone to University who wasn’t able to understand the material and who wasn’t prepared for the entire experience. That is what a temple recommend is for – it is the University entrance exam, so to speak. Because a temple is sacred, the Lord asks that it be protected from desecration. Anyone may enter who is willing to prepare well for that privilege. The concept of preparation prevails in other fields of endeavor. I remember when I was but a young boy, I told my parents I wanted to attend the university. They said I could, but only if I worked hard in preliminary schooling and met all the requirements for admission to the university. Similarly, we must qualify for admission to the temple. We prepare physically, intellectually, and spiritually. Eligibility is determined individually for each person applying for a recommend. 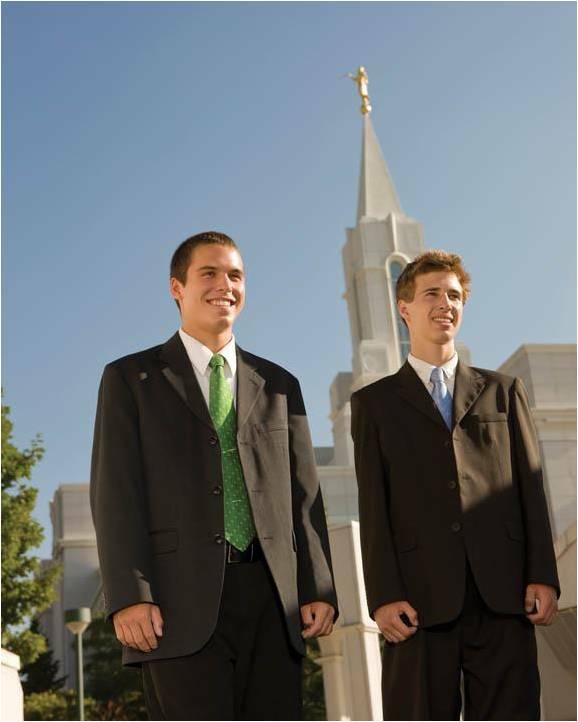 Above all, the best I can do is to express what the temple means to me. I have had the opportunity to attend the temple almost every week lately and every time I go, I think, why did I ever let busy things in life prevent me from this? The temple is not weird – it’s not secretive. It is a highly spiritual, peace filled experience. When I go to the temple, I feel God, literally smiling upon me. I don’t know how to explain it, exactly, but it’s like I can see His face. For example, when I am just waiting for a session in a room and I am silently, personally praying, I feel as if I am closer to God at that moment than any other time in life. I feel that He is right next to me, working things out with me. It is very literal for me – those personal experiences I have with my Heavenly Father and also my Savior, Jesus Christ. And so that is why the temple is so sacred and so protected – because it is important to keep those Holy places on earth where that highest communion can be felt with deity; where we can all go to feel peace and happiness. Livi Whitaker is a member of The Church of Jesus Christ of Latter-day Saints - a "Mormon" woman in Idaho. She has worked in various professional Communications based positions in New York, Italy and Idaho since her first day at the United Nations on Jan 2nd, 2007. Livi now devotes her full attention to free lance writing. An avid writer since childhood, Livi has kept a journal as long as she can remember - yet some of the most fulfilling writing she has done is for the More Good Foundation, sharing her beliefs online.